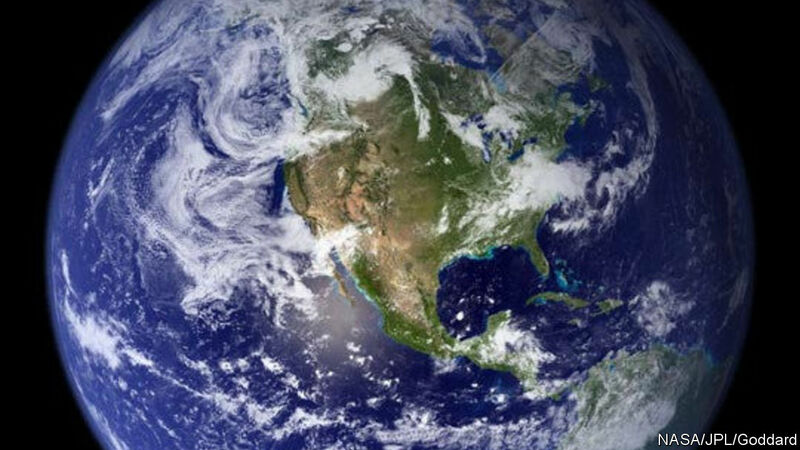 Will humans wipe out humanity? 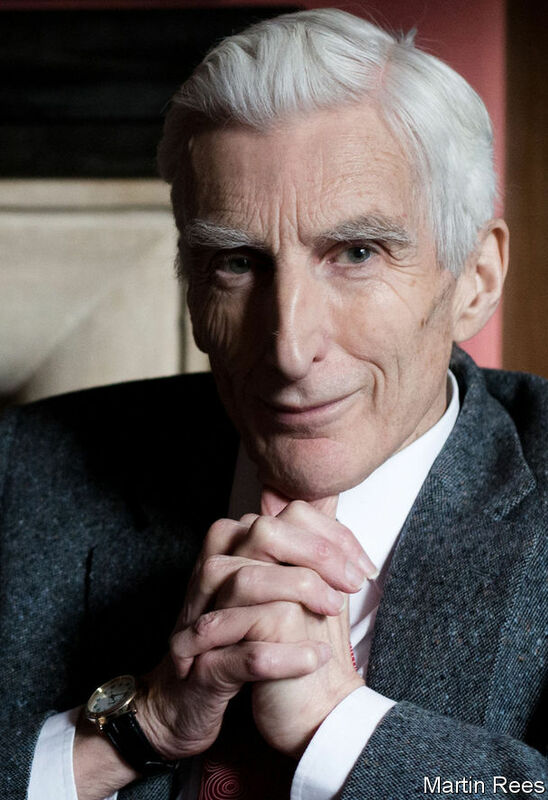 THE importance of science in society has no greater spokesperson than Lord Martin Rees. From his perch at Cambridge—and a centre he formed on studying existential risks—he has served as both a promoter, populariser and the moral conscience of scientific endeavour far beyond his academic field of astrophysics. In “Our Final Century” in 2003 (retitled more breathlessly “Our Final Hour” in the American edition) he presented a range of global challenges, from bioterrorism to nuclear weapons. He put the risk of human extinction by 2100 from our technologies at around 50%. His latest book, “On the Future”, is more sanguine. It acknowledges similar threats, but emphasises the beneficial ways that technologies will improve lives, notably the positive uses of artificial intelligence. The Economist’s Open Future initiative asked Mr Rees questions about humanity, space aliens and scientific discovery. In particular, we pressed him on how humanity might need to prepare mentally and institutionally for contact with extraterrestrial life forms (a reframing of liberalism on a galactic scale). He took a sober tack. Though he believes other life forms may indeed exist, they may be so different to us as to be incomprehensible. “I certainly don’t expect an invasion by green bipeds with eyes on stalks,” he says. Following the interview is an excerpt on existential risks from his latest book. The Economist: What is the biggest near-term risk for humanity and what can we do to reduce the threat? Mr Rees: Even within the next decade or two, technology will disrupt working patterns, national economies and international relations. It’s a real game-changer that a small group (or even an individual) empowered by cyber or biotech expertise will be able—by error or design—to cause massive disruption. The “village idiots” in the global village now have global range. Whatever regulations are imposed can’t be enforced globally, any more than the tax laws or the drug laws can. Governance will be challenged by enhanced tension between freedom, privacy and security. In an era when we are all becoming interconnected, when the disadvantaged are aware of their predicament, and when migration is easy, it is hard to be optimistic about a peaceful world if a chasm persists, as deep as it is in today’s geopolitics, between welfare levels and life chances in different parts of the world. The Economist: Is there a way to meaningfully regulate AI to alleviate the worries expressed by people like the late Stephen Hawking, Elon Musk and others? Mr Rees: I’m not an expert on AI—but neither is Elon Musk nor my late colleague Stephen Hawking. AI is well suited to managing complex fast-evolving networks like the electricity grid and traffic flows. It could even allow a planned national economy of a kind that Marx could only dream of. But are we happy for AI to make decisions that deeply affect us? If we are sentenced to prison, recommended for an operation or deemed a credit risk, we feel we should be entitled to an explanation—and that it should be contestable. It’s not enough to be told that a “black box” algorithm has a better overall record than a typical human assessor. However, I think the apocalyptic concerns about an AI “takeover” are based on over-optimism about how well a machine can cope with the “real world,” and also on a false analogy with Darwinian evolution, which favoured intelligence but also aggression. Machines can evolve via secular intelligent design without aggression. I think artificial intelligence will, for decades to come, be less of a worry than real stupidity. The Economist: What ought humans do to prepare mentally, institutionally and otherwise, for the potential contact with other life forms in the universe? Mr Rees: The question “are we alone” fascinates so many that I think SETI [Search for Extraterrestrial Intelligence] searches are worthwhile despite the heavy odds against any detection. I actually chair the advisory group for Yuri Milner’s “Breakthrough Listen” project—but we’re not holding our breath for success. Within 20 years biochemists will probably understand how life on Earth began—and how likely it would be to evolve in other cosmic locations. And spectroscopy, using big telescopes, may yield evidence for photosynthesis on planets orbiting nearby stars. But even if simple life proves to be widespread, we can’t assess the odds that it evolves into anything we’d call intelligent. And, even it did, it might anyway be unrecognisably different. If we detected any manifestly artificial transmission from deep space it would far more likely come from an electronic intelligence descended from an organic civilisation that had long been superseded (as may happen to humans in the far future) and be neither aggressive nor conveying any meaningful message. The Economist: Let me press you on this. If intelligent aliens reached us, a lot of big questions would emerge. Who would represent humanity? What would it mean for religion? Will Earthly racism disappear as we confront truly novel species? And so forth. Have you given this any thought? Mr Rees: I have of course thought and talked a lot about the issues. I genuinely think, and explain in the book, that if we detected any “signal” it would be unlikely to be a “civilisation” but far more likely to be a single electronic brain so different from us that we’d have no conception of its motives. As an argument in favour, the timeline of Earth would display 4 billion years of unintelligent life, a few millennia at most of a technological civilisation, and then billions of years of posthuman evolution of electronic intelligences that do not need a planetary environment. It would be most unlikely that a “second Earth” would be synchronised so that it was in the thin sliver of time we’re now in. I certainly don’t expect an invasion by green bipeds with eyes on stalks! The Economist: It sometimes seems like the role of science in society is going backwards, with climate-change deniers, vaccination critics, a rejection of experts, etc. Can anything realistically be done to reverse this? Mr Rees: I wouldn’t myself be so censorious. It’s reasonable to be sceptical about, for instance, economic forecasts! But it is important that choices about key societal challenges which involve science—energy, health, food, robotics, environment, space and so forth—shouldn’t be made just by scientists: they matter to us all and should be the outcome of wide public debate. For that to happen, we all need enough “feel” for the key ideas of science, and enough numeracy to assess hazards, probabilities and risks, so as not to be bamboozled by experts or credulous of populist sloganising. That’s why science education is crucial for everyone, and why scientists should engage with the public and with parliamentarians. We should remain upbeat about science and technology, though the public is right to “nudge” effort towards some goals and away from others. Undiluted application of the “precautionary principle”—to refrain from acting because of a potential for harm—has a manifest downside. The Economist: What invention or discovery do you wish had occurred in your lifetime, but so far has not happened? Mr Rees: From my perspective as a space scientist, the number-one discovery would be extraterrestrial life, even in a “primitive” form. But I’m too old to expect this in my lifetime. What we’ve learned is that the order in which advances occur is crucial. For instance, an advanced AI (if kept “in its box”) could help us with scientific discoveries, and with organising the infrastructure of society. So it’s a pity that we don’t have it yet. To take another example, it’s surely regrettable that the development of “clean” carbon-free energy wasn’t prioritised earlier, so that we’d have cheap and efficient alternatives to fossil fuel soon enough to prevent carbon dioxide rising to levels that threaten the crossing of “tipping points”. Our world increasingly depends on elaborate networks: electricity power grids, air traffic control, international finance, globally dispersed manufacturing, and so forth. Unless these networks are highly resilient, their benefits could be outweighed by catastrophic (albeit rare) breakdowns—real-world analogues of what happened in the 2008 global financial crisis. Cities would be paralysed without electricity—the lights would go out, but that would be far from the most serious consequence. Within a few days our cities would be uninhabitable and anarchic. Air travel can spread a pandemic worldwide within days, wreaking havoc on the disorganized megacities of the developing world. And social media can spread panic and rumour, and economic contagion, literally at the speed of light. When we realize the power of biotech, robotics, cybertechnology, and AI—and, still more, their potential in the coming decades—we can’t avoid anxieties about how this empowerment could be misused. The historical record reveals episodes when ‘civilisations’ have crumbled and even been extinguished. Our world is so interconnected it’s unlikely a catastrophe could hit any region without its consequences cascading globally. For the first time, we need to contemplate a collapse—societal or ecological—that would be a truly global setback to civilization. The setback could be temporary. On the other hand, it could be so devastating (and could have entailed so much environmental or genetic degradation) that the survivors could never regenerate a civilization at the present level. But this prompts the question: could there be a separate class of extreme events that would be ‘curtains’ for us all—catastrophes that could snuff out all humanity or even all life? Physicists working on the Manhattan Project during World War II raised these kinds of Promethean concerns. Could we be absolutely sure that a nuclear explosion wouldn’t ignite all the world’s atmosphere or oceans? Before the 1945 Trinity Test of the first atomic bomb in New Mexico, Edward Teller and two colleagues addressed this issue in a calculation that was (much later) published by the Los Alamos Laboratory; they convinced themselves that there was a large safety factor. And luckily, they were right. We now know for certain that a single nuclear weapon, devastating though it is, cannot trigger a nuclear chain reaction that would utterly destroy the Earth or its atmosphere. So how risk averse should we be? Some would argue that odds of ten million to one against an existential disaster would be good enough, because that is below the chance that, within the next year, an asteroid large enough to cause global devastation will hit the Earth. (This is like arguing that the extra carcinogenic effect of artificial radiation is acceptable if it doesn’t so much as double the risk from natural radiation—radon in the local rocks, for example.) But to some, this limit may not seem stringent enough. If there were a threat to the entire Earth, the public might properly demand assurance that the probability is below one in a billion—even one in a trillion—before sanctioning such an experiment if the purpose was simply to assuage the curiosity of theoretical physicists. Can we credibly give such assurances? We may offer these odds against the Sun not rising tomorrow, or against a fair die giving one hundred sixes in a row, because we’re confident that we understand these things. But if our understanding is shaky—as it plainly is at the frontiers of physics—we can’t really assign a probability, or confidently assert that something is unlikely. It’s presumptuous to place confidence in any theories about what happens when atoms are smashed together with unprecedented energy. If a congressional committee asked: ‘Are you really claiming that there’s less than a one in a billion chance that you’re wrong?’ I’d feel uncomfortable saying yes. But on the other hand, if a congressman asked: ‘Could such an experiment disclose a transformative discovery that—for instance—provided a new source of energy for the world?’ I’d again offer odds against it. The issue is then the relative likelihood of these two unlikely events—one hugely beneficial; the other catastrophic. I would guess that the ‘upside’—a benefit to humanity—though highly improbable, was much less unlikely than the ‘universal doom’ scenario. Such thoughts would remove any compunction about going ahead—but it is impossible to quantify the relative probabilities. So, it might be hard to make a convincingly reassuring case for such a Faustian bargain. Innovation is often hazardous, but if we don’t take risks we may forgo benefits. Undiluted application of the ‘precautionary principle’ has a manifest downside. There is ‘the hidden cost of saying no’. Nonetheless, physicists should be circumspect about carrying out experiments that generate conditions with no precedent, even in the cosmos. In the same way, biologists should avoid creation of potentially devastating genetically modified pathogens, or large-scale modification of the human germ line. Cyberexperts are aware of the risk of a cascading breakdown in global infrastructure. Innovators who are furthering the beneficent uses of advanced AI should avoid scenarios where a machine ‘takes over’. Many of us are inclined to dismiss these risks as science fiction—but given the stakes, they should not be ignored, even if deemed highly improbable. These examples of near-existential risks also exemplify the need for interdisciplinary expertise, and for proper interaction between experts and the public. Moreover, ensuring that novel technologies are harnessed optimally will require communities to think globally and in a longer-term context. And, by the way, the priority we should accord to avoiding truly existential disasters depends on an ethical question that has been discussed by the philosopher Derek Parfit: the rights of those who aren’t yet born. 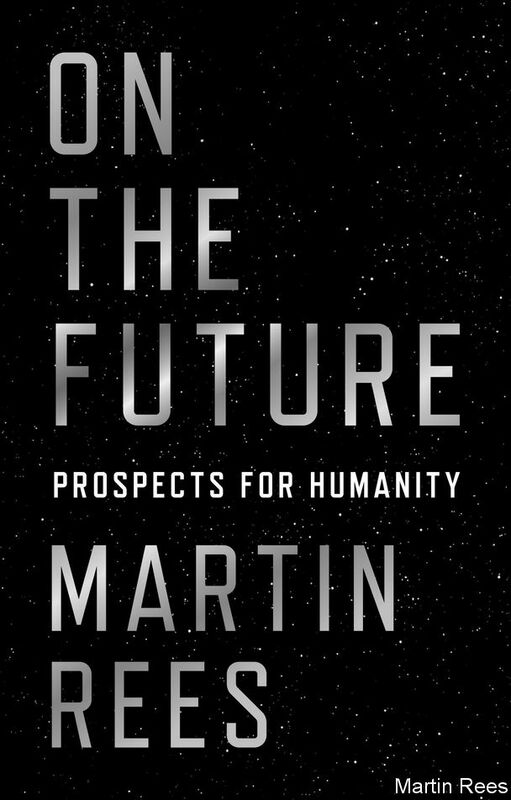 Excerpted from “On the Future: Prospects for Humanity” by Martin Rees. Copyright © 2018 by Princeton University Press. Reprinted by permission of Princeton University Press.